Living and Working in Your Neighborhood! 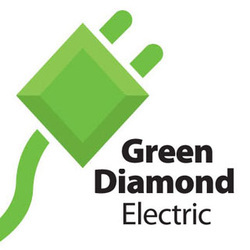 Welcome to Green Diamond Electric located right here in Marietta, GA! We specialize in honest, quality, work for both residential and commercial locations all around metro Atlanta. With Green Diamond Electric, you are getting a locally owned business dedicated to serving the residents and businesses in the Atlanta metro area. Our experienced and licensed staff can deliver a solution to your electrical needs, no matter how complex they may be. It is the goal of Green Diamond to present its client with all the options available so that together, we can discover the solution that best fits your particular situation. We bring a spirit of cooperation and leadership that is earning us the reputation of being one of the premier electrical contractors in Georgia. Customer satisfaction and productivity have been the keys to our success.